Tim Adams demonstrates assistive technology to students. 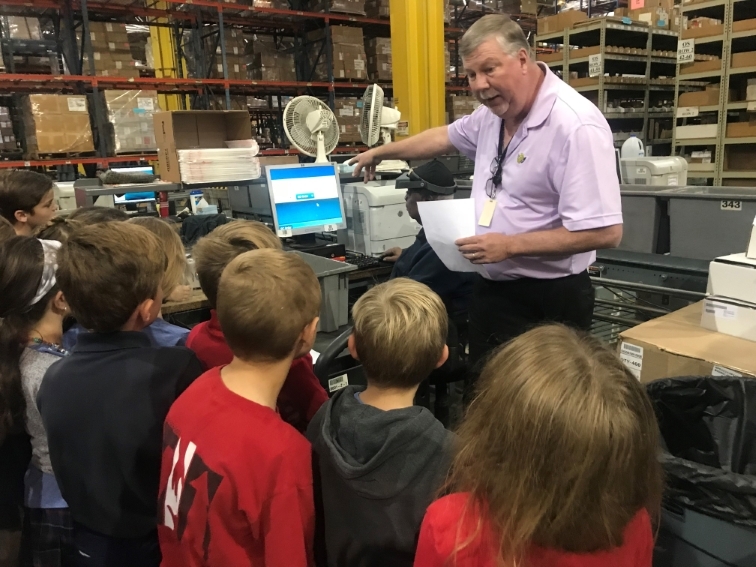 Students from Christ Lutheran School toured AIB’s Distribution Center and Document Imaging facility in Phoenix to learn how technology has leveled the playing field for people who are blind. The kids were able to pick an order using Talkman, a voice recognition picking system. They learned how screen magnifiers enable a person who is legally blind to QC an order. In the Document Imaging unit, students signed and then scanned the card on a large format scanner using screen reading software.